I have always enjoyed the images created by Zeiss fisheye lenses, which I have many good experiences with the Rolleiflex 35mm version, and not so much the Contax C/Y version. 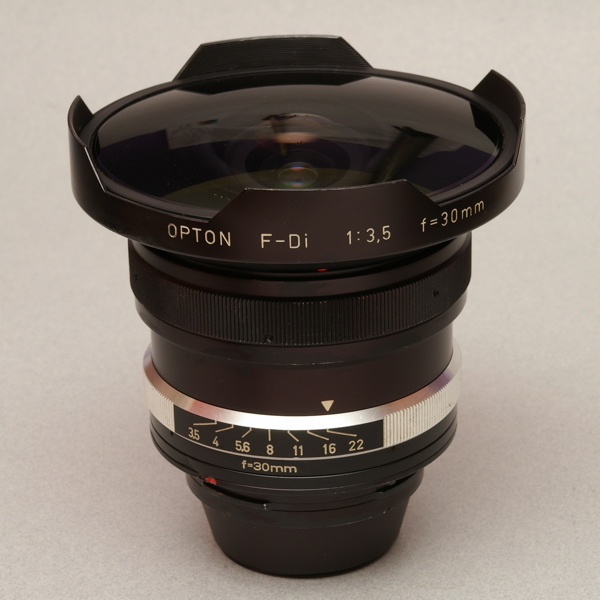 This sample of the SL66 30mm f3.5 F-Distagon I have is sold in the East German market, and thus is labelled as Opton due to some I believe copy right or brand name issues. To change the colour filter the lens has to be opened as 2 parts.